Published Aug. 11, 2018 at 9:01 a.m. Putting the final touches on an article about Milwaukee Police Department response times, reporter Edgar Mendez stopped at the District 2 police station Sunday to take photos of squad cars in the parking lot. 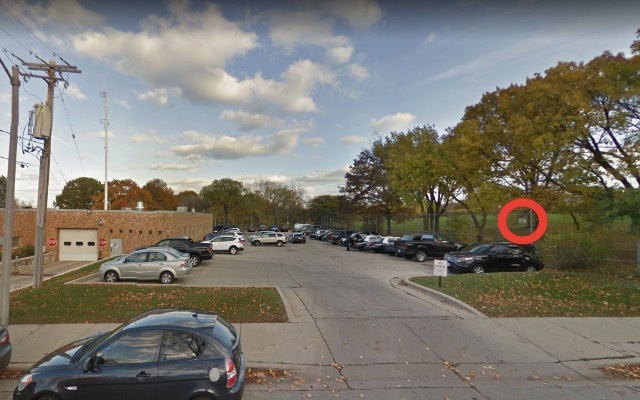 According to Mendez, an award-winning reporter employed by Milwaukee Neighborhood News Service since its launch in 2011, he was walking through the lot with his camera when a nonuniformed officer with a badge around his neck walked past him. Mendez told him he was a reporter taking photos for a story, and the officer "waved in a manner that suggested 'carry on.'" While he was taking the photos, Mendez saw a uniformed officer in the distance and waved to him. He was in the lot for about five minutes. As he drove away, he noticed a police van following him, and he was pulled over at about 12:10 p.m. The officer asked what he was doing in the lot, and he said he was a reporter taking photos for a story. The officer asked whether he had seen the "no trespassing sign," and he replied that he would not have taken photos in the lot if he had seen the sign. He informed the officer that he'd taken photos earlier that day at District 5 and had no problems. The officer took his driver's license and went back to his squad car. "I had a bad feeling about the situation but nonetheless never expected what happened next," Mendez said. At that point, another squad car pulled up, and the two officers told Mendez that he was going to get a ticket for trespassing, and that he had to go to the station with them. They asked him to place his hands behind his back, and he was handcuffed and placed in the back of the van, but was never searched. "They knew I was no threat," Mendez said. He was taken to District 2 and handcuffed to a bench near the garage. After about a half hour he was brought into the station. The "no trespassing" sign is circled in red in this screenshot from Google Street View. A third officer questioned Mendez again about what he was doing in the police lot. Mendez told him that he didn't see the "no trespassing" sign, and if the officer he encountered in the lot had informed him that he wasn't supposed to be there, he would have left immediately. "After that I thought I was being let out but I was led into another area of District 2 and asked to step into what appeared to be an interrogation room," Mendez said. There he was questioned by two nonuniformed officers, who Mendez believed were detectives, for about 30 minutes. Mendez said that he asked if he needed a lawyer and one of the officers responded that they were making sure that his story "checked out." Mendez told them that a Google search would demonstrate that he is a reporter for Milwaukee Neighborhood News Service, and "he still chose to question me," Mendez said. According to Mendez, the officer told him that if he wanted a lawyer, he could end up being taken to the county jail. The officer then asked to look at the photos. Mendez said he initially refused, but after the officer threatened to confiscate the camera, he agreed to show him the photos, all of which were of squad cars. The officer asked him to erase three of them, purportedly because they showed personal vehicles of policemen, although, "I didn't see them in the photos," Mendez said. Mendez, a longtime South Side resident who was raised in District 2 and still lives there, was given a municipal citation for $181 with a September court date. He was accompanied out of the station and told to "have a good day" at about 2:25 p.m. Sunday.